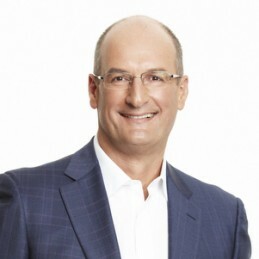 David Koch currently presents Seven Network’s high-rating Sunrise breakfast program. He also hosts a show for small businesses, Kochie’s Business Builders, which airs on Sundays on the Seven Network. Koch started as a cadet on the business pages of The Australian newspaper before joining BRW soon after its launch in the early 1980’s. He was one of the founders of consumer finance journalism in Australia and created Personal Investment magazine, which made him the youngest editor in the Fairfax media group. He then launched Personal Investment magazines in New Zealand and the UK. He produced Britain’s first Rich List which started in Money Magazine which he had bought for Fairfax. In 1988 he launched trade publishing group Australian Financial Press in a joint venture with Fairfax. AFP went on to create Business Magazine, New Accountant and Money Management newspaper. Currently he provides business and financial commentary for several publications, including Pacific Magazines, Yahoo Finance and the “Your Money” section of News Ltd newspapers. Koch was a director of the NSW Small Business Development Corporation Ltd for eight years after its inception in 1996. As a former business owner and operator and now director of Pinstripe Media Pty Ltd, he speaks regularly at corporate events about small business, finance and investment issues. Koch has presented over 100 episodes of a weekly small business program on the Seven Network, Business Builders, which helps private business owners improve their business. Nominated for a silver Logie in 2004 and 2005 for Best TV Presenter, Koch has helped Seven and Sunrise’s ratings against the Nine Network’s Today. Koch has written several practical books on family and business financial management. In a survey conducted byMoney Management newspaper, his peers recognised him as one of the 10 most influential people of all time in the financial services industry. In 2007, readers of Banking and Finance Magazine voted Koch Australia’s Best Finance Journalist while the Council of Small Business Organisations of Australia presented him with the “Small Business Champion award” in recognition of his support of Australian small business. He was named 2007 Australian Father of the Year by the Australian Father’s Day Council. Through a Sunrise campaign and his involvement in ShareLife, Koch influenced the federal government to establish a national authority (the Organ & Tissue Authority) to oversee Australia’s organ transplant system. Previously, Australia had the highest level of registered organ donors per head of population in the world but one of the lowest transplant rates. The new national authority aims to bring Australian transplant rates up to world’s best practice. Koch chairs the advisory board. He has climbed Mt Kilimanjaro twice to raise money for charity and walked the Kokoda Track. Koch was the number one ticket-holder of Australian Football League team Port Adelaide Football Club from 2007 and is a shareholder in the Sydney Kings basketball team. Koch was announced as the chairman of the Port Adelaide Football Club in 2012.